The two clubs have rich memories from the last season. 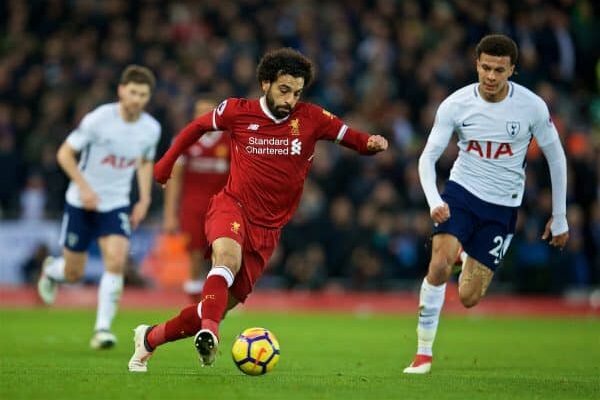 In February, they’ve ended up splitting the points in a dramatic battle marked by Victor Wanyama’s rocket, Mohamed Salah’s stunner and two penalties by Harry Kane. Before that, Spurs absolutely hammered Reds at Wembley and Dejan Lovren got ridiculed for two costly defensive errors. Since Liverpool’s last away win at Tottenham dates back to August 2014 and Brendan Rodgers’ era, it’s fairly safe to assume that one of the two aforementioned scenarios is going to repeat. Despite the humbling defeat at Watford, Mauricio Pochettino has many reasons to feel optimistic. First of all, his first-choice goalkeeper Hugo Lloris has finally settled his legal problems regarding drunk driving and will start the Saturday match free of distractions. Secondly, Dele Alli’s muscle strain sustained against Spain has turned out to be a minor problem so the lad should be fit for selection. And thirdly – having won the Asian Games tournament with South Korea, Son-Heung Min has reported back from the international duty. Against that, Jürgen Klopp will certainly field all the familiar faces. The German boss still cannot count on Lallana, Lovren and Oxlade-Chamberlain, but even without those players, he’ll have tough time selecting his midfield three. The cautious approach with Henderson, Keïta and Milner getting the nod ahead of Wijnaldum and the outcast Fabinho, is quite likely. Still: this is going to be a difficult test for the visitors – and given their away record against top 6 clubs (four defeats and one draw last season), things might get sour here. It’s been five years since either of those two teams managed to score more than one goal in this fixture – and that happened in the Championship, with David Nugent helping Foxes to accomplish that feat. Ever since, the two teams in question have been trading draws with five such results to one win each. 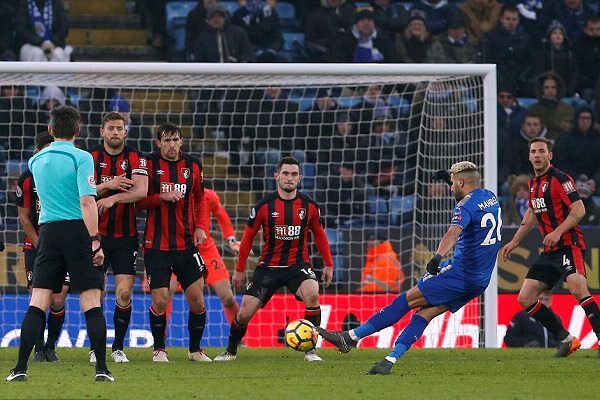 Last season, Cherries came agonizingly close to snatching three points from the King Power Stadium – before Riyad Mahrez’s final free-kick of the match beat both the wall and Asmir Begović to ensure a draw. Just like in March, Bournemouth have the upper hand here. They’ve battled hard at Stamford Bridge, lost narrowly and the international break has surely washed off the bitterness of that result. Eddie Howe’s only big concern is the state of Ryan Fraser’s hamstring, as his winger of choice brought back a nasty-looking injury from the Scottish national team duty. Since his natural replacement, Junior Stanislas, has been out with a long-term ligament problem since April, we’re likely to witness Marc Pugh taking the stage. Leicester, on the other hand, shall unleash Jamie Vardy at the south coast – and since the forward missed the last three games through suspension, he’ll be out for blood. The recently retired England international will likely live off passes from two, Claude Puel’s in-form signings: James Maddison and Rachid Ghezzal. Though Foxes failed to keep an away clean sheet in their last five Premier League matches, that attacking force should be just enough to secure a point at Vitality Stadium. Surely one of the biggest mismatches of the season. The Welsh side did not beat Chelsea in a competitive game since October 1986. 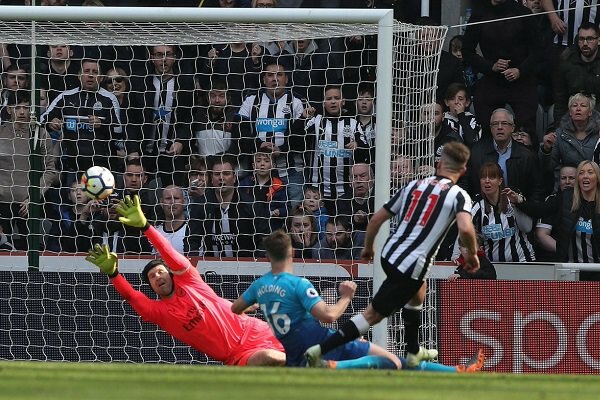 Their two, 21st century visits at Stamford Bridge have both ended in grave, 1-4 defeats and nightmary times for now Hull-bound goalkeeper, David Marshall. David Luiz probably still remembers that back pass from Branislav Ivanović he refused to pick up, allowing Jordan Mutch to score the early opener. However – back in 2013, Cardiff’s delights were limited to just that one, lone goal. It is extremely unlikely for things to get any better now. Neil Warnock’s side has not won a single game since the early August friendly against Amiens. Home losses to Norwich in the League Cup and to Arsenal in the Premier League saw Bluebirds conceding six goals. Things would’ve been even worse if not for the outstanding form of Filipino goalkeeper, Matthew Etheridge, responsible for saving 17 shots this season – including two penalties. In order to save his club from another hammering, he will definitely have to step up again. However – Chelsea shall not be stopped. With a 100% record to their name, Pedro and Eden Hazard enjoying top form and no international break casualties, Maurizio Sarri’s men will, at the very least, score a comfortable victory. Another 80% possession match is not out of question, either – even the perpetually troubled Arsenal has managed to keep the ball for 72% of their Welsh showdown. Will this finally be the fixture to prove Álvaro Morata’s worth to the team? Or will Olivier Giroud take his chance as he did for Les Bleus? it’s Crystal Palace, who inspired Huddersfield’s Premier League survival the last time around. 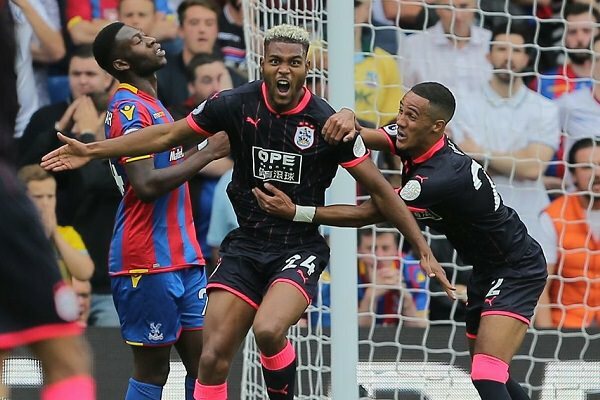 Thirteen months ago, Steve Mounié’s brace alongside with Joel Ward’s own goal yielded David Wagner’s team three points. Alas – that was when Wilfried Zaha struggled with an injury and Frank de Boer attempted to teach Eagles how to play in a possession-based, 3-4-3 formation. Once the Dutch manager was dismissed and the Ivorian winger returned, Palace had their revenge and defeated The Terriers in front of their own fans 2-0. Unfortunately for Roy Hodgson, the injury problems are back in his camp. Talismanic Zaha has just barely recovered from a groin pain that sidelined him at Southampton and might find it difficult to provide an instant impact. His most reputable teammate, Christian Benteke picked up a knee injury with Belgium and will also be a doubt for Saturday. Earlier misfortunes have knocked up Scott Dann and James Tomkins, meaning that Martin Kelly shall serve as a less-than-ideal centre-back partner for Mamadou Sakho. After snatching a point from Goodison Park, Huddersfield might take their chance here and pick up all three points. The team in blue and white stripes will miss suspended Jonathan Hogg and injured goalie Ben Hamer – but with all other key players present, David Wagner may try to repeat the tactical plan that worked against Everton – defensive 5-4-1 formation, aimed at shutting down the threat from the wings. In many ways, this is one of the do-or-die fixtures for his team; last term, 23 out of their 37 points were won at home. Prediction: Huddersfield 1-0 Crystal Palace. It’s been a long time since Fulham last beat Manchester City. Given in goal; Garrido, Richards, Onuoha and Dunne in defence; Zabaleta, de Jong, Petrov, Ireland and Etuhu in midfield; Bojinov upfront. That was the last City side that stumbled to The Cottagers, back in April 2009. Kelvin Etuhu’s younger brother, Dickson was on the scoresheet for FFC that day. Ever since, oil-powered Citizens scored eight wins and three draws against the London side – five of the wins coming in the last five matches between the teams in question. The streak will most likely continue. Even without Kevin De Bruyne’s services, City are able to field an inhumanly strong starting eleven and their two difficult matches against Wolves and Newcastle should not stand in the way here. Sergio Agüero alone boasts the record of 4 goals and 3 assists in five career appearances against Slaviša Jokanović’s club. And should Raheem Sterling’s knock persists past the international duty, Pep Guardiola has always an option of recalling the slumping 2018 PFA Young Player of the Year – Leroy Sané. Prediction: Man City 4-1 Fulham. I had a preview of this match written somewhere but the constantly terrible boredom of Rafa Benítez’s new 5-4-1 system has killed it. However – despite all their troubles with leaky defending, poor finishing, suspicious team selection and Mesut Özil, Arsenal shall win. Historically, Watford have been Manchester United’s faithful customers. Hornets have lost 14 out of their last 15 competitive clashes with Red Devils and didn’t manage a single clean sheet against MU since their 1-0 victory in September 1986. Only two years ago, Troy Deeney and his friends managed to upset all odds – but that was when United were still putting faith into the likes of Memphis Depay, Juan Mata or Wayne Rooney. Now that José Mourinho has moved on from those names, things are expected to get back to normal. But will they? Javi Gracia’s players are currently on a five-game winning streak. In the league, three of the four teams they’ve beaten have finished above them last season. They’ve even staged a highly unlikely comeback against the opponent that specializes in protecting the lead – Tottenham. With sky-high morale and names like Will Hughes and Roberto Pereyra supporting the partnership of Deeney and Gray, the lads in yellow and black are enjoying themselves the most since Odion Ighalo’s era. Their only problem is that United recently got back on track against Burnley. Three points and a clean sheet earned despite Paul Pogba’s botched penalty have alleviated the pain of previous two defeats. Still: on Saturday, Mourinho’s side will have to proceed without Phil Jones (hamstring), Marcos Rojo (knee) and Luke Shaw (concussion). 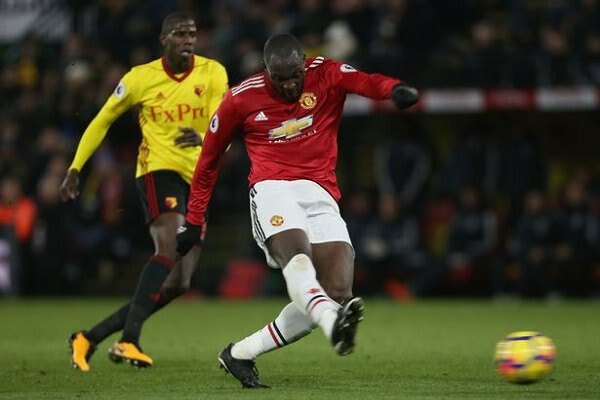 Those names, plus suspended Marcus Rashford, are narrowing Special One’s array of choices to pretty much 12 or 13 players – though given the history, this might be enough to end Watford’s run. Prediction: Watford 1-2 Man Utd. Eight years have passed since Wolves and Clarets met each other in the Premier League. Back then, Mick McCarthy’s team picked up two wins over Owen Coyle’s Burnley and effectively sent down that side to the depths of the Championship. Since that day, Sam Vokes has been on six different loans before finally swapping Wolverhampton for Sean Dyche’s side. Meanwhile, the strikers’ former club has been taken over by a Chinese consortium, financially blossomed and ended up paying £76 million for ten Portuguese players in the span of just three years. It’s about time for Nuno Espírito Santo’s players to repay the faith put in them. So far, they’ve ran away with a point from a troublesome Everton fixture, got handed a present while hosting Manchester City and snatched a narrow victory from troubled West Ham. That, plus a defeat away at Leicester, is way below the owners’ ambitions which envision WWFC battling for a European qualification. So far, the team that arguably produced better results than performances, is a long way from reaching that objective. Burnley, on the other hand, have just tasted how the continental football can be like. After getting knocked out by Olympiacos and conceding four to Fulham, Clarets have found themselves in a precarious position right at the start of the league season. Without Nick Pope (shoulder), Johan Berg Guðmundsson (calf) and Steven Defour (knee), the team’s been poor, conceding 13 goals in the last five matches. Another defeat could be on the cards here – which would definitely result in a longer stay among the relegation candidates. “Which team is more awful?” – that was the question all neutral fans asked themselves ten months ago, when those two terribly performing clubs met in a final showdown to settle the matter. 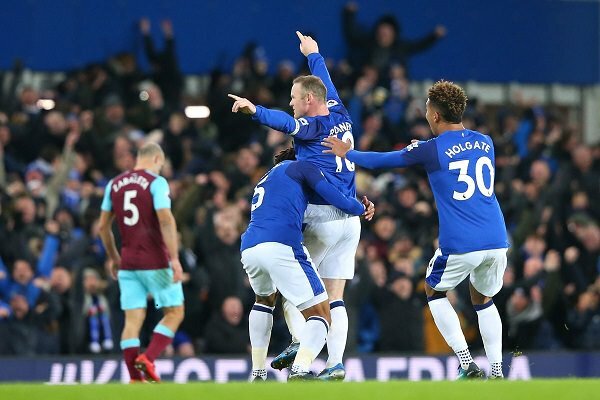 The Toffees won 4-0 and the hat-trick hero Wayne Rooney scored a long-ranger from his own half after Joe Hart made a hilarious trip out of his own box. Just like those two players, the teams in question have moved on from that result – and on Sunday, they will battle with new managers in the dugouts and a bunch of new players on the pitch. This time around, each contestant has their own problems. Marco Silva is currently without Yerry Mina (toe), James McCarthy (broken leg), Michael Keane (fractured skull), Phil Jagielka (knee) and Seamus Coleman (foot). A handful of other players – including Walcott, Gueye and Bernard – are doubts while Richarlison continues to serve a suspension for a red card against Bournemouth. With that in mind, the Portuguese manager will be forced to field an entirely experimental back four and few attacking players he clearly would not fancy otherwise. Luckily for Silva, Hammers are in dire straits too. Defeated in all first four games of the season for the second year running, Manuel Pellegrini’s lads badly need a confidence boost before yet another string on tough fixtures (Chelsea at home, Man Utd at home, Brighton away and Tottenham at home). This time around, their saving grace might be the notoriously good, shot-stopping form of Łukasz Fabiański and Felipe Anderson’s ability to find Marko Arnautović with a through ball. Will it be enough? Given their ventures so far – probably not. Prediction: Everton 2-0 West Ham. It’s been less than three weeks since those two teams met in a League Cup match. 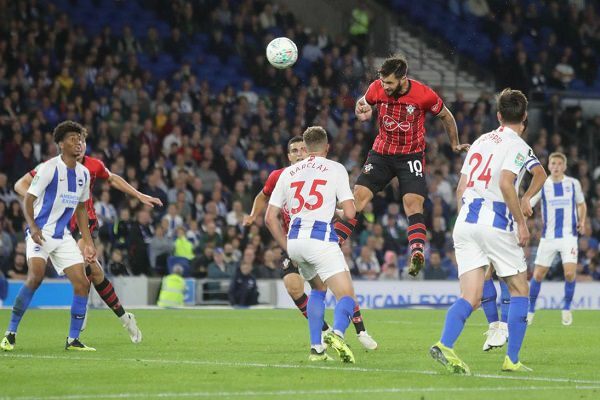 At the Amex Stadium the second string of Saints has prevailed over the Seagulls’ reserves, thanks to Charlie Austin’s late goal. Then, Southampton got a big result at Crystal Palace, where Danny Ings bagged his second goal of the season. Given those circumstances, Brighton’s renown inability to produce the results in away games and the history (only two BHAFC wins in this fixture in the last thirteen tries), Mark Hughes’ side should prove itself superior. What’s Southampton’s real level of ability anyway? The team that narrowly escaped the drop last season has spent £56 million this summer and should realistically be heading for a mid-table finish. But it’s the finishing that continues to elude them. In four games, they’ve played 48 key passes and attempted 64 shots. All that effort resulted in merely four goals. In the meantime, the manager switched to 4-4-2 and dropped Charlie Austin in favour of Shane Long. Still of no avail – without a class forward, his players are destined to do poorly. For Brighton, this is a intermediate-level test before two heavyweight clashes with Spurs and Man City. Two weeks ago, Seagulls enjoyed double lucky break, as they dug themselves out of a 0-2 deficit against Fulham and their leader, Pascal Groß, picked up an injury that turned out to be just a minor knock. The German, along with Florin Andone, José Izquierdo and Bruno Saltor, will be available for selection on Monday. That doesn’t change the fact that any gain from the Southampton match will be a borderline sensation; after all, Chris Hughton’s side has lost 14 out of it’s 21 away Premier League matches so far.